Reduced to Sell! This is a great opportunity. Beautiful home features a fantastic floor plan with a large flat lot and a huge backyard. This property has RV parking, gorgeous wood flooring with a beautiful tile fireplace. The kitchen features nice granite counter tops, stainless steel appliances, recessed lighting and clean wood cabinets. Home also includes updated tiled bathrooms,new electrical wiring and copper plumbing. Solid Oak flooring throughout the house. 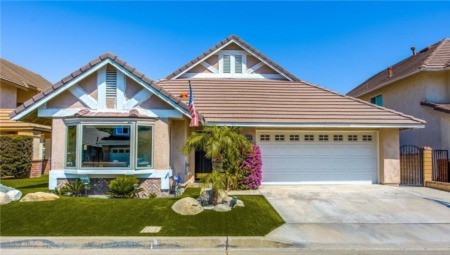 This home is in the Tustin school district and is a great opportunity for an investor! Don't miss out! This is a Must See! Lot Size: 0.23 Acres / 10200 Sq. Ft.
SchoolsClick map icons below to view information for schools near 13342 Ethelbee Way North Tustin, CA 92705. Listing provided courtesy of Daniel Deforest, First Team Real Estate.